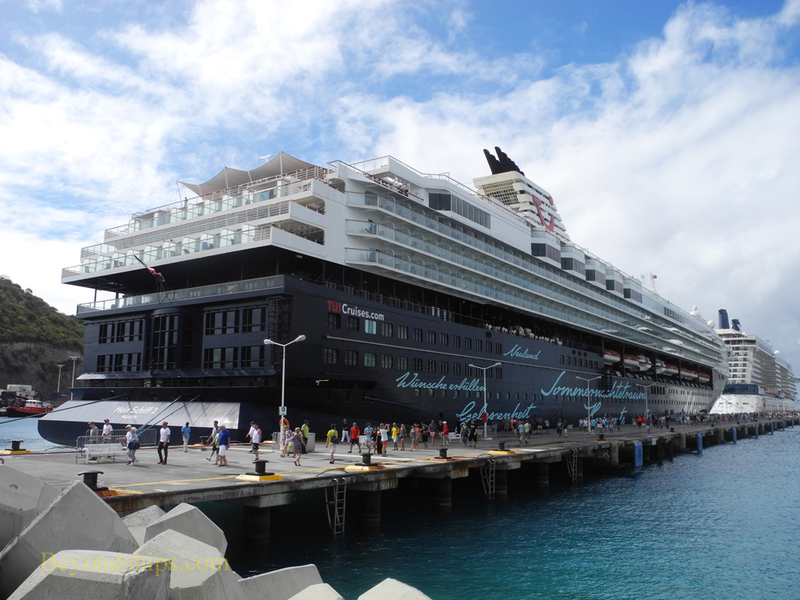 This ship is no longer sailing with TUI Cruises. Thus, this mini-profile is for historical purposes. Inscribed on the hall with calligraphy expressing TUI Cruises's travel philosophy, Mein Schiff 2 is a medium size cruise ship serving the German-speaking market. 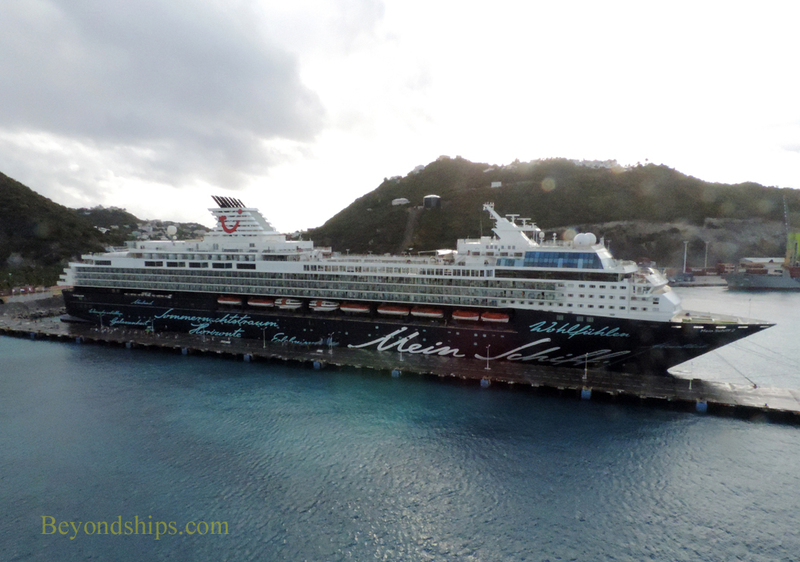 Mein Schiff 2 first entered service as as Celebrity Cruises' Mercury. The third ship in Celebrity's Century class, she is the sister ship to Skysea Golden Era (formerly Celebrity Century) and Mein Schiff 1 (formerly Celebrity Galaxy). (See our full profile of this ship when she was Celebrity Mercury). 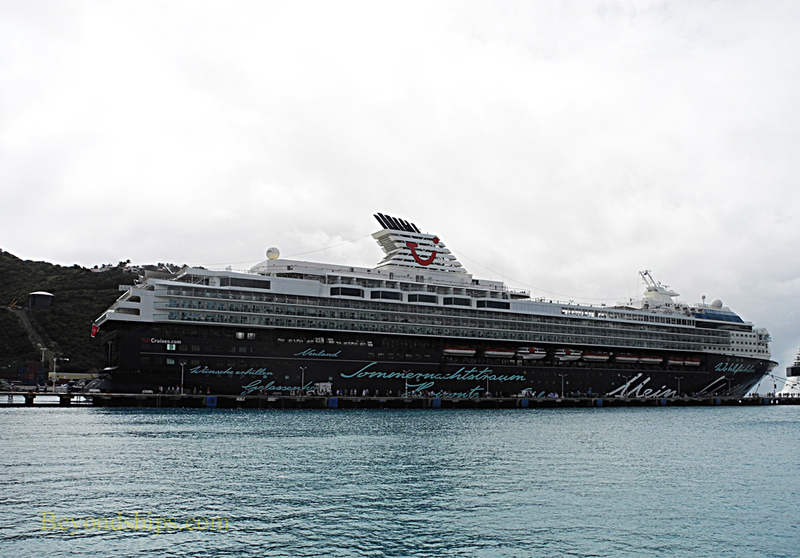 In 2011, the ship was transferred from Celebrity to TUI Cruises, a joint venture between TUI AG and Royal Caribbean Cruises Ltd, the parent of Celebrity Cruises. The ship was brought to Bremerhaven, Germany where some 2,000 artisans worked for 38 days to transform the ship to have features like those of Mein Schiff 1. 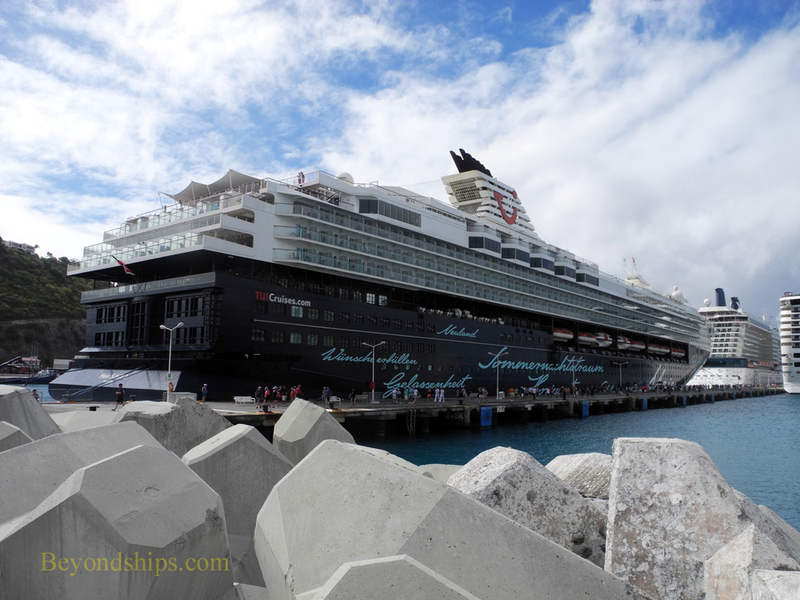 Going beyond Mein Schiff 1, they also added the Ocean Life lounge where guests can study underwater oceanography and borrow books as well as iPads. A thalassotherapy center was also created in the spa complex. The TUI approach to cruising seeks to promote “wohfulen”, well-being or feeling good, through “pampering, relaxed discovery and modern travel.” Hammocks and an emphasis on healthy eating in the restaurants are indicative of its style. Espresso machines have been placed in every stateroom. The dress code is casual although a jacket may be called for on more formal evenings. The main dining rooms operate on a flexible dining system with no assigned dining times. An enrichment program focuses on “discovery, health and enjoyment” covering such diverse areas as cultural studies, art history, oceanography, wine tasting, dance and photography. Of course, there are pools, a spa and nighttime entertainment. LENGTH: 262.2 meters, 865.8 ft.
BEAM: 32.5 meters, 105.6 ft. DRAFT: 8.5 meters, 25.2 ft.